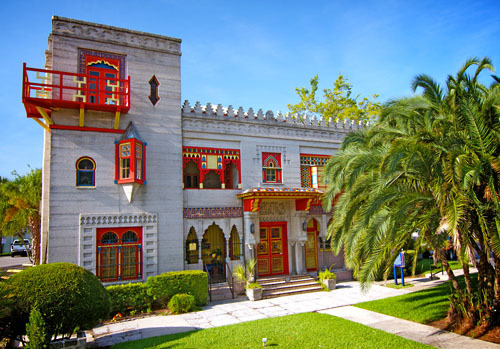 Located just across from Flagler College and a few blocks from The Cathedral Basilica of St. Augustine, the Villa Zorayda Museum lets guests get an up-close view of the architectural work of art created in 1883 by Franklin Smith. The museum offers state-of-the-art self-guided audio tours that are available throughout the day, as well as special behind-the-scenes tours on select Tuesdays. 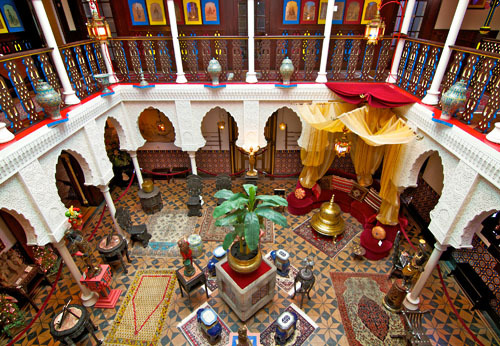 After several years of historical renovation, the Villa Zorayda with its collection of unique antiquities is a must see on your visit to our nations oldest city! Closed for several years the Villa Zorayda Museum has undergone an extensive renovation and is once again open to the public as a museum. On the National Register of Historic Places it was built in 1883 as the winter residence of Franklin Smith utilizing his method of construction of poured concrete and crushed coquina shell. It is built 1/10th the scale of a section of the Alhambra Palace in Granada, Spain. 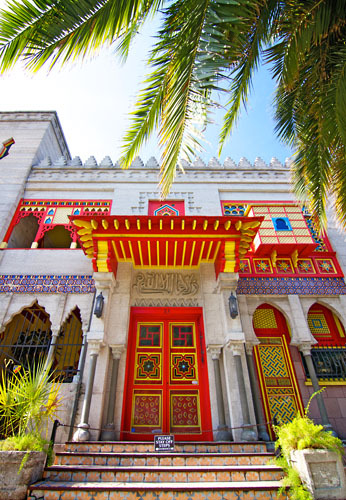 This building set a precedence for St. Augustine and began the Moorish Spanish revival of architecture that is seen throughout the city today. In 1904 it became the Zorayda Club. On display for the first time ever is the custom made bone china made exclusively for the Zorayda Club. 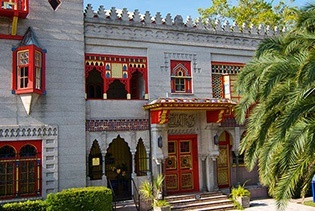 In 1913 it was purchased by Abraham S. Mussallem, an authority on Oriental rugs, fine arts and Egyptian artifacts. 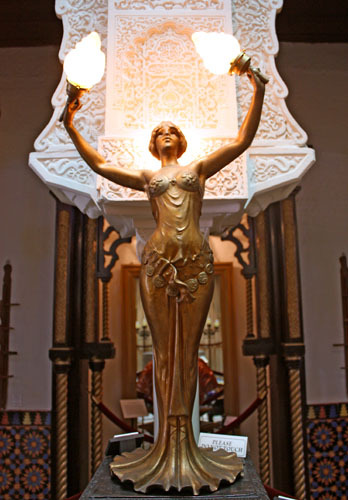 In 1922 it became one of the most fashionable places for casino gambling. 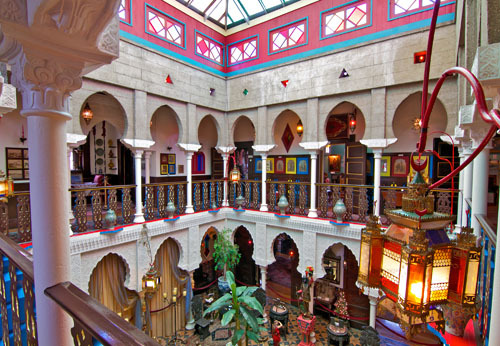 In the mid 1930's it was opened as a museum featuring the priceless antique collections of both Franklin Smith and A.S. Mussallem which are still on display today. 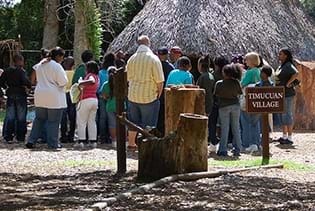 The 45-60 minute tour gives an in depth look at the historical significance of the building to the City of St. Augustine, the magnificent architecture as well as descriptions of the many exquisite pieces you will see. On display is the "Sacred Cat Rug" over 2400 years old and made from the hairs of ancient cats that roamed the Nile River. Taken from a pyramid in Egypt it is said to possess a curse for anyone that walks on it! Visitors will be taken to rarely seen areas of the museum where we will give an explanation of what the area was used for in the past and what future plans may be coming. Highlight of the tour is the never seen before "Tower of the Princesses" located on the third floor which was a bedroom in the original house and where time has virtually stood still. *Stairs are steep and narrow and visitors must be in good physical condition to make the climb. Approximate time will be about 1 hour and 30 minutes. 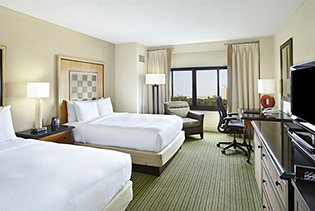 Do you offer audio tours? Yes, self guided audio tours are available in English, Spanish and French. Prices for the audio tours are $10. 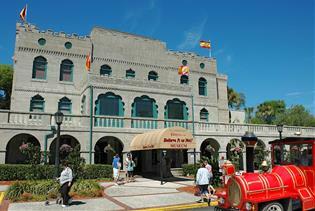 Yes, located in St. Augustine’s Historic District visitors receive FREE PARKING while visiting the museum (one vehicle maximum). When is the last admission time? From Monday through Saturday, the last admission time is 4:30pm; the museum closes at 5pm. On Sunday, the museum closes at 4pm.